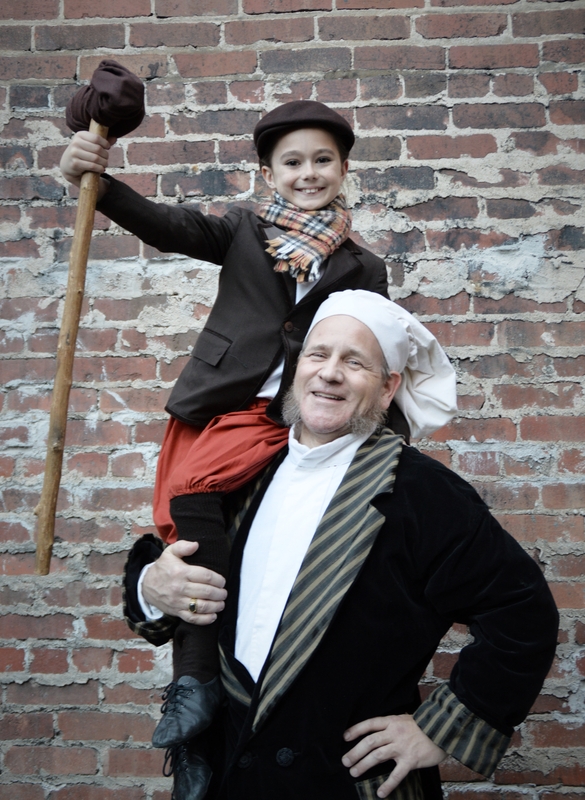 Scrooge!, a popular Theatre Bristol production, will run three weekends at the ARTspace. 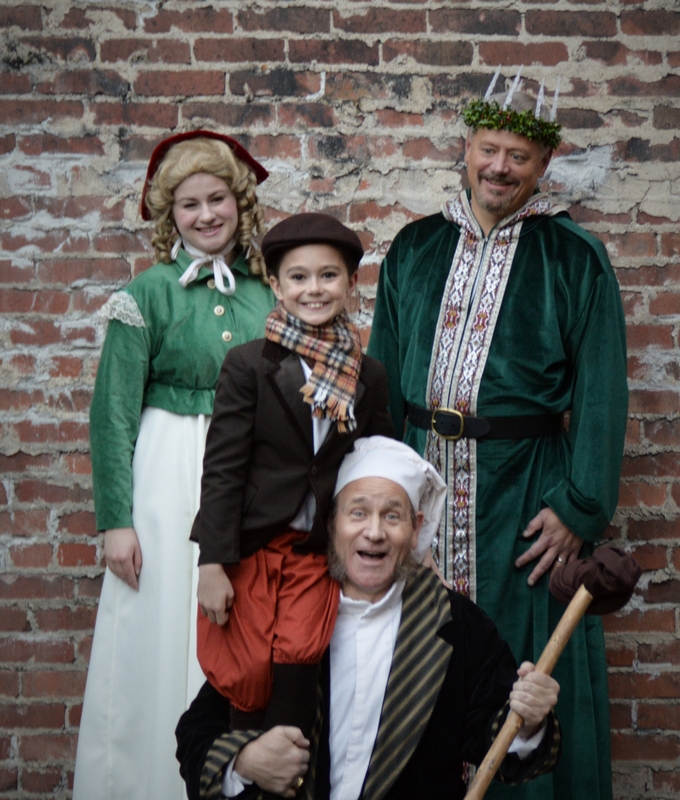 Bristol, Tennessee/Virginia, October 2014 – Theatre Bristol presents a major musical production just in time to celebrate the holidays. “Scrooge! The Musical” opens the day after Thanksgiving, November 28, and runs for three weekends, closing with a matinee on December 14. Reservations for this ARTspace production (506 State Street), can be made by calling 423-383-5979. Robert Greene, Music Director of the 2009 Scrooge! production returns to lend his talent. Jessica Flagg, choreographer for Joseph and the Amazing Technicolor Dreamcoat, returns for Scrooge along with Technical Director and Designer David Hyde. Costume Designer is Andrea Wakely. The Stage Manager is Kaylie Crain, Properties Manager is Matthew Torbett, Emma Kennedy is the Child Wrangler, and the Dance Captain is Camille Gray. Nicholas Thompson is Deck Manager and Steve Baskett is Master Carpenter. Scenic Artists are Jenny Carpenter and Edie Cannon. Graphic Designer is Bert White. Makeup Artists are SaBrina King and Allyson Collins, and Hair Stylists are Sabrina Briggs and Shonda Ollis. Light Board Operator is Renee Hardy and Sound Operator is Jessica Gamble. Promotions provided by Mike Musick and Vince Turner. “Perhaps one of the best-known modern adaptations of [A Christmas Carol] is the musical Scrooge! by Leslie Bricusse. The musical, made into a film in 1970… is traditional, and the stage show has enjoyed noted success in England, where it was hailed as “Sensational” and “Terrific” by BBC Radio 2; and in the Unites States, where it has become an established favorite of regional playhouses nationwide,” Breaking Character. In Bristol, Scrooge! is a holiday tradition, popular by audiences over the years. INTERVIEWS: Interviews with the cast or other production members are available. Call 423-956-3525.